Mom loved adages, quotes, slogans. There were always little reminders pasted on the kitchen wall. For example, the word THINK. I found THINK thumbtacked on a bulletin board in her darkroom. I saw it Scotch-taped on a pencil box she'd collaged. I even found a pamphlet titled THINK on her bedside table. Mom liked to THINK. 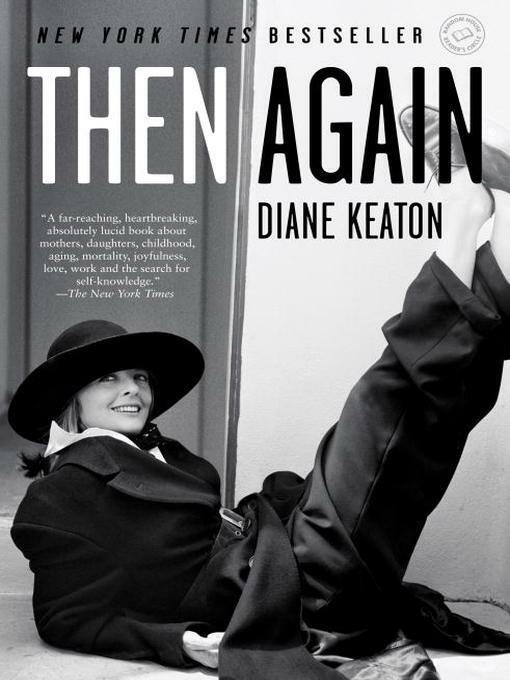 So begins Diane Keaton's unforgettable memoir about her mother and herself. In it you will meet the woman known to tens of millions as Annie Hall, but you will also meet, and fall in love with, her mother, the loving, complicated, always-thinking Dorothy Hall. To write about herself, Diane realized she had to write about her mother, too, and how their bond came to define both their lives. In a remarkable act of creation, Diane not only reveals herself to us, she also lets us meet in intimate detail her mother. Over the course of her life, Dorothy kept eighty-five journals--literally thousands of pages--in which she wrote about her marriage, her children, and, most probingly, herself. Dorothy also recorded memorable stories about Diane's grandparents. Diane has sorted through these pages to paint an unflinching portrait of her mother--a woman restless with intellectual and creative energy, struggling to find an outlet for her talents--as well as her entire family, recounting a story that spans four generations and nearly a hundred years.